Sri Lanka is said to be the most beautiful country in the world, but you really realize it when you discover it. Lands of extraordinary natural landscapes reside on this pearl of the Indian Ocean. Its beaches and lagoons are a paradise and invite all for a few hours of tanning and swimming. Its lush tropical forests are not to be left out, as they contain various animal and plant species. Historically, this destination has long been under the influence of the Arabs, the Portuguese, the English and the Hollanders. They left footprints that can still be seen today. Amongst the ancient relics one can find in Sri Lanka, there are theBritish style houses in Nuwara Eliya. Although the health care system in Sri Lanka is sufficient, it is difficult to receive treatment outside of Colombo, the capital. If you need hospitalization, you should seek treatment from The National Hospital. It is also possible to use services from Apollo Hospital Colombo or the Asiri Surgical Hospital which provide adequate emergency facilities. You will be able to find basic drugs in Sri Lanka but will find it more difficult to locate more specific pharmaceuticals. Avoid relying on advice from pharmacists, as some have not undertaken sufficient training. For medical assistance, dial 110 in Sri Lanka. You can phone 94 (11) 242 2222 for the fire department that can also aid in such queries. For more serious illnesses medical evacuation by plane will be necessary. 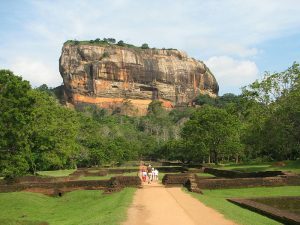 Is Sri Lanka Safe for Travel? Both, a visa (or an Electronic Travel Authority) and a passport are required to enter Sri Lanka for stays longer than 30 days. Your passport must be valid for at least six months beyond the date of departure. A proof of an onward ticket and sufficient funds to sustain your trip are also required.